KNOXVILLE, Tennssee -- A very special Pit Bull will soon hopefully have the great home he deserves. 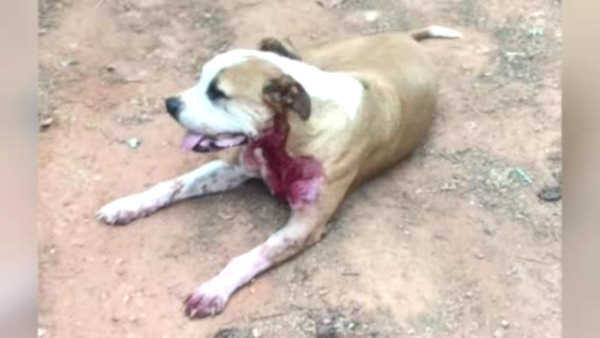 The stray dog stepped in when a woman was getting attacked in Tennessee. He was, in fact, stabbed several times by the attacker, and nearly died. The officers who responded got the dog veterinary care, and even named it "Hero." The owner of a Pit Bull rescue raised funds to help pay for medical expenses, and is now caring for him.